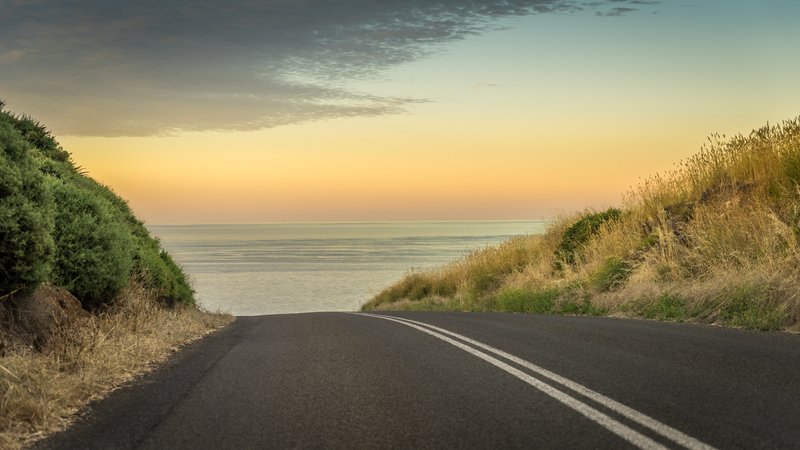 It's just a spot on the road where the horizon opens to reveal the sea and the crest gives a sense of mystery as to what is beyond. Kangaroo Island can be accessed by air from Adelaide but you will need a car to get to this spot. Best to take the car ferry from Cape Jervis on the mainland. Park further down the hill where you can pull off the road. Watch and listen for traffic!